Burger King Restaurant Kuwait, last updated on 23 April 2018 , is listed under Burger category. It was added to Kuwait Directory Rinnoo.net on 2 April 2013 . 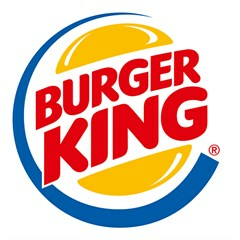 Pages of Burger King Restaurant Kuwait on Rinnoo.net have achieved 434,875 views till now. Burger King, often abbreviated as BK, is a global chain of hamburger fast food restaurants. It has several branches in Kuwait and is very known for its quality standard. They serve meat, chicken and fish as well and their meals are really yummy. Home delivery is available. * Most viewed out of 48 branches. Sorted based on branches' views in the last 30 days, from Thursday, 28 March 2019 till today.